There are no reported cases of Ebola in Tanzania or Kenya and travel is proceeding normally. Guests are proceeding with their safaris as planned to all areas. East Africa is further from the affected area than London. There are fewer direct flights from affected area to East Africa than to Europe. 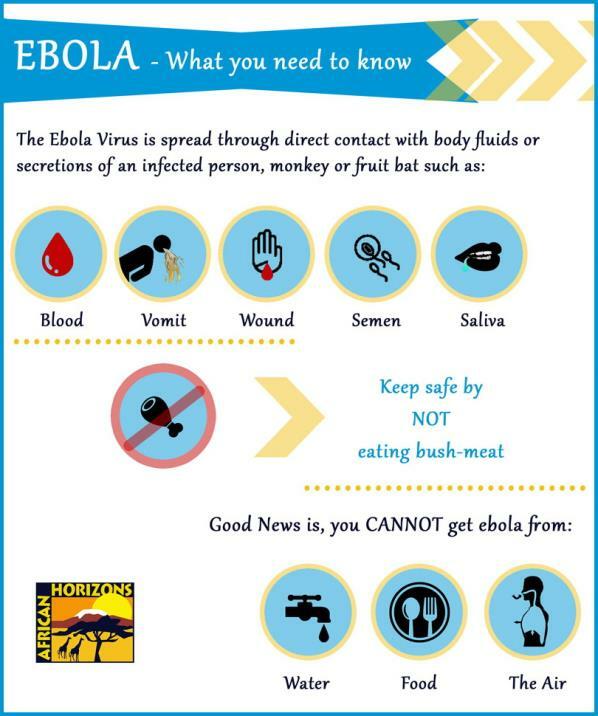 According the World Health Organisation: Transmission of Ebola requires direct contact with blood, secretions, organs or other body fluids of infected living or dead persons or animal, all unlikely exposures for the average traveller. In both Kenya and Tanzania health staff and border posts and points of entry are on alert and being highly vigilant and this will enable prompt detection, notification and appropriate management of any suspected cases in the country. We remain committed to ensuring that we remain as safe as is possible for both staff and guests and will communicate more as and when there is a change in circumstance. Following increasing concerns among the public over the outbreak of Ebola in West Africa the Kenyan Ministry of Health has issued a public statement, reassuring travellers to Kenya. The full statement as released can be found on the Ministry of Health website. Previous Post It’s July, and the migration is ON! Next Post Our RARE spot of the month!